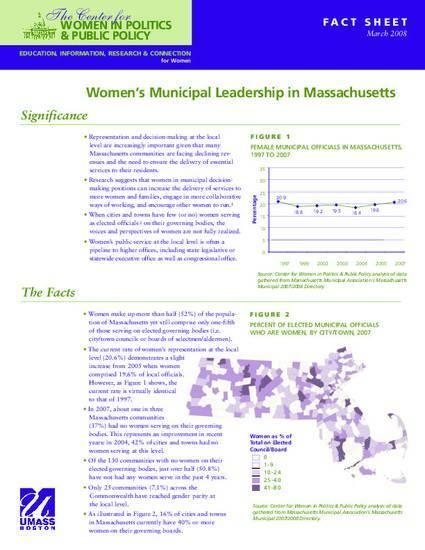 The Center for Women in Politics and Public Policy (CWPPP) at UMass Boston’s McCormack Graduate School of Policy Studies has been tracking the election of women at the municipal level in Massachusetts since 1996. In 2003, the Project expanded to include all New England states. CWPPP remains the only research center in the United States that regularly tracks women’s political representation at the local level.